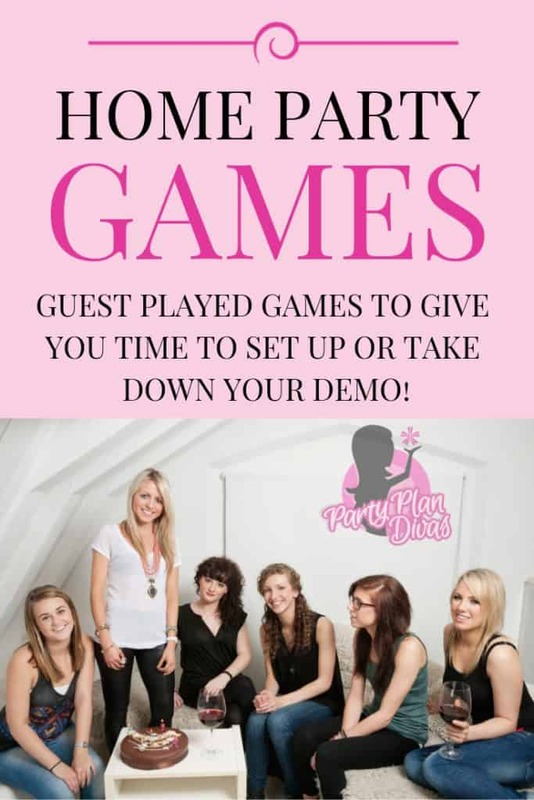 Time Consuming Home Party Games are a great way to entertain your guests while waiting for late guests to arrive, while you pack up your demo, etc. Time Consuming Games are guest-played, meaning it takes little to no interaction from you. Unlike Ice Breaker Games, Time Consuming Games give you time to do what you need to do (set up, break down, take early orders, etc) without people feeling like they are waiting on you. Have a wrapped prize ready for this fun game. Hand 1 person the gift and have them follow the instructions as you (or your Hostess) reads them. The person who is holding the prize at the end is the winner! Were you on time? Not one minute late? Punctuality pays so give yourself 8. A watch is 6 and each ring is 2, 10 more points if your eyes are not blue. Score yourself 5 if you show any pink, But take away 10 if you left dishes in the sink. Except if they are white and then you get none. But take away 5 if your purse is red. So for each one you have you my now add 3. So for each one that you have you may now add 4. Because you’re in trouble and trouble a plenty! Except if you’re a special friend, there IS one more. If you’ll be a Party hostess for me! You read the following quotes and have the guest try and figure out where the saying came from. The one that guesses the most wins. The last player who holds the item gets to keep it. Give a small gift, wrapped beautifully to one guest at the party. The guests will pass the gift to the left or right at your command – they have to listen closely to not miss a pass! I left my house and was on the way to _____________house. I knew I was headed in the right direction for fun tonight. I arrived right on time and set up my display right over here. You all arrive and sat right down—Thank-You! I got right to work and told you all about our wonderful company, hostess program and income opportunity. I hope nothing was left out. In a moment I will be showing you more of our wonderful products. If you left home with the intention of shopping for gifts tonight, remember we have the right gift for everyone. Review your shopping list for upcoming birthdays and weddings, we wouldn’t want anyone to be left out. Your Company Name has a _________ money back guarantee! When your merchandise comes in please check it right away and if something is not right, please ask __________ to call me and you can be sure I will take care of it right away and make it right. You don’t want to be left with something your not 100% satisfied with, right? If you’d like to be a Hostess and earn lots of free merchandise, you will want to get right to picking out your date before my calendar is too full. You see, when you host a Your Company show, you can pick out whatever you like so your home can look just right at the right price—that’s FREE. Or maybe it is the right time for you to explore joining Your Company as a consultant. I am a stay at home mom and before I joined Your Company I almost went right out of my mind. Starting Your Company was the right decision for me. With ________investment and an average $100 profit an evening there’s no risk in giving it a try right now. What do you have to lose? Right? I’m enjoying being here with all of you tonight and I hope that you are having fun, too. 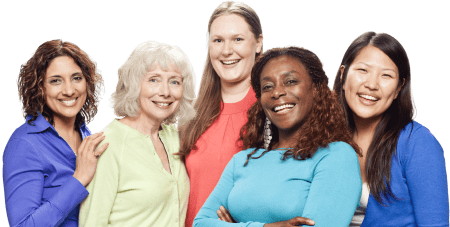 I know you can’t wait to see more so without further delay, I will get right to the point of this demonstration, which is showing you our fabulous products. Therefore, there is really nothing left for me to do now except to congratulate our winner! Right? Looking for more Home Party Games? 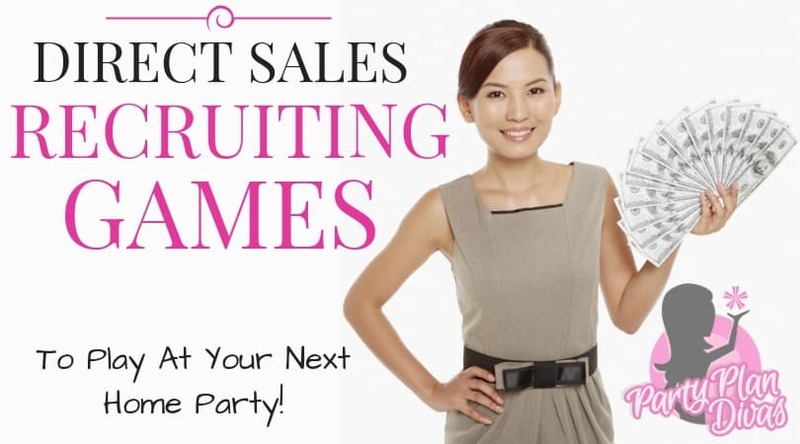 Check out this list of direct sales games to make every party fun and rewarding!